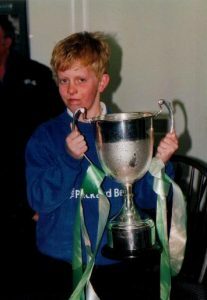 This week marks 20 years since I went to my first Non League Football match. Duly, it seems a good moment to take a trip down memory lane and remember some memorable moments and name my favourite NL X1. From helping to keep several goldfish alive on a six hour trip home from Torquay, lifting the FA Cup in 2003 and being on the back page of the Telegraph and Argus with it, to helping former Sheffield United defender Georges Santos over the back fence at the Ainley Top Cedar Court Hotel, cracking my head on a wall at Gretna after falling off the front row, to helping a manager walk his dog around Askham Bryan College, to going to Benidorm on a players’ stag do, to travelling back as a passenger from the North West with a number of players, with one of them in the boot. There’s a lot of memories from the last 20 years. Then there’s Mark ‘Willy’ Wilson, with whom I produced a DVD with to mark the end of a season at Avenue with him impersonating several team-mates. 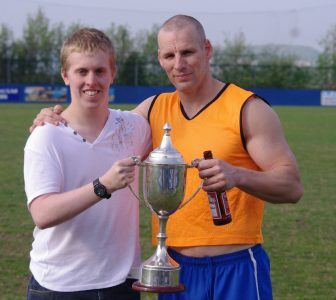 I first met him in 2000 when he was sent off at Eastwood Town. Instead of keeping a low profile, he had his inflatable hammer out on the coach home and led several renditions of the Grand Old Duke of York. But back on track, this week in October 1998: The Conference North did not exist. The Northern Premier League was called the UniBond League. Division One only had one Division. Brigg Town topped the Northern Counties East League Premier Division. 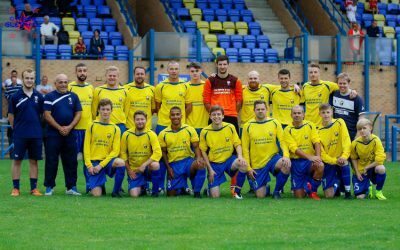 Brodsworth were the Division One table-toppers. A famous football club, Bradford (Park Avenue), travelled to Witton Albion in the old NPL Division One. My dad Paul had started watching Avenue again when they reformed having watched them in the 1960s when Leeds United were away (three years later my dad became a director and held that post until early 2007). He is still a season ticket holder to this day, but he doesn’t watch NL football anymore. My mum still volunteers, now at Garforth Town when work allows. I know a lot of referees and assessors know her from her time at Avenue and Farsley. In 1998, I was eight and had just got my first season ticket at Elland Road. Quite why I chose the Witton game, I don’t remember? Neither do I remember much of the coach trip, other than Ronnie, whose ‘mark ‘em tighter’ phrase was a consistent part of the next ten years watching Avenue. I do recall details of the game. Avenue lost 2-1…controversially. 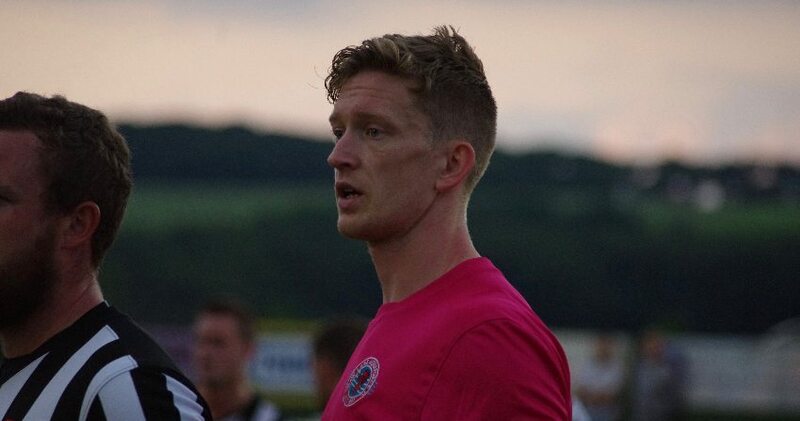 Goalkeeper Karl Lengahan was sent off for handling outside the area. Stephen Ball went in goal and Chris Brandon, the future Bradford City player got Avenue’s goal. The Avenue team: Karl Lenaghan, Joe Richardson, Neil Grayston, Tony Brown, Lee Connor, Paul Green, Chris Brandon, Wayne Benn, David Blair, Ian Briggs, Stephen Ball. Sub: Christian Annan. I wouldn’t say I was hooked straightaway. It was another six months before I went again to watch Trevor Storton’s team. This time I was the mascot and I led the teams out with then-captain Wayne Benn before a 2-1 victory over Flixton. I started going more frequently, visiting places such as Belper, Hucknall Town, Burscough, Trafford, Kendal, Workington, Whitley Bay, hundreds more(!). I also volunteered with the raffle and club shop duties, a sign of things to come. Leeds were in the Champions League at the turn of the century and it was good, but the football got gradually worse at Elland Road and it was Carl Shutt’s era as manager of Avenue that persuaded to stick to Non League Football. What enticed was the social side, the coach journeys, the banter. Carl was superb for Avenue, and did a fine job with no resources when compared to the rest of the Conference North that season (2004-05). Jose Mourinho would have struggled. Carl was brilliant with the volunteers and a true leader. Unfortunately results matter and he was harshly sacked. His replacement, the second choice, because the first (someone who would become a major influence on me) decided not to take the job, struggled and Avenue were relegated for a second consecutive season. Over the next two years, Avenue moved away from being a volunteer-led club. The essence of how the club was reformed was destroyed almost instantly and in my opinion its soul has only just returned. 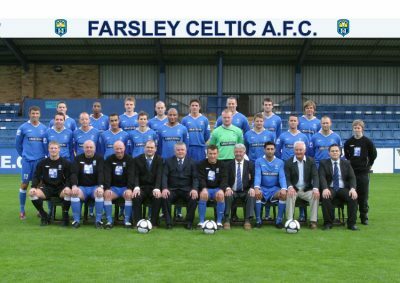 Do I regret joining Farsley Celtic in 2008? No. I had five wonderful years at Throstle Nest, doing the website and programme for a bit and I have some fantastic memories. I saw a lot, the heights of the Conference Premier, overnight stay-overs, Weymouth on a Tuesday night, administration, liquidation, the rebirth, the double-winning team. 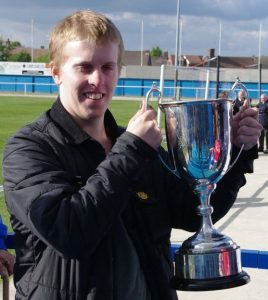 It was during my time with Farsley that I began covering Non League football for the Yorkshire Evening Post. 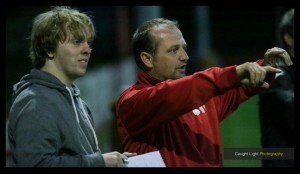 The YEP helped me get to know top managers such as Craig Elliott (Glasshoughton Welfare) and Simon Houghton (Pontefract Collieries) at a time when both were at the beginning of their managerial careers. 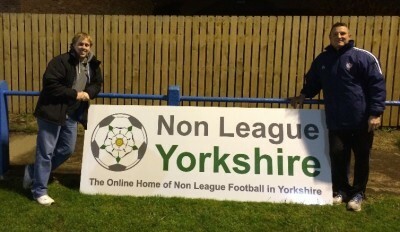 Contacts made through the YEP helped create Non League Yorkshire. In turn Non League Yorkshire has provided a path to Disability Football, my current main focus. 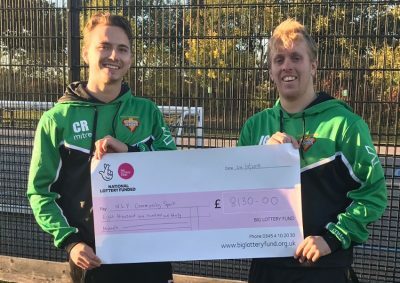 Connor Rollinson, the Worsbrough Bridge player, and myself have achieved a lot with our teams through NLY Community Sport. It was only the other day that we reflected on getting nearly 40 Disability junior and adult players playing competitive football in the past 12 months. Non League Yorkshire will continue. It won’t be a daily website. I will try to focus on solid news and hopefully feature articles, rather than clickbait. I know people enjoy reading the website so I will do my best. On an anniversary like this, you reflect a lot and the culture of Non League Football has completely changed. Twenty years ago, players sunk their wages/expenses back into the club via the bar straight after a game. Now on a quite widespread scale, even in Division One of the NCEL, players get their brown envelope and drive off without going into the bar. The whole idea of Non League Football being a social activity for a lot of clubs has gone out of the window and it is a huge shame. I’d like to think those kind of officials are in a minority. I actually think refereeing standards are good. In any industry, there’s always a few bad apples. Twenty years ago, referees really cared about their local clubs. 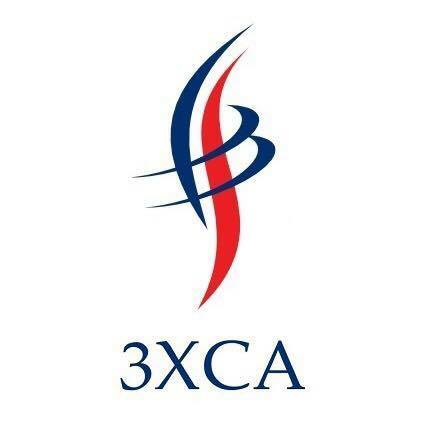 Now they are split into three categories – those who care, those in it for the money and those who are only bothered about reaching the Premier League. It is the latter that seem more likely to cause a trail of destruction behind them because they’re more concerned about the assessor in the stand and will referee differently. In 20 years, reflecting back, there is only three times when I have felt cheated and still do. One was an Avenue match at Chorley in 2000 which saw Jason Maxwell sent off. The second game was the 2001 NPL League Cup second leg at Accrington Stanley a year later – Wayne Benn and Ian Richards played for Avenue. Video footage exists of a decisive moment in that clash which should have seen a penalty awarded to Avenue and red card shown to a Accrington defender. Neither were given and robbed is putting it mildly. Accrington won the final on penalties. The third is a Farsley match in the FA Trophy. We actually drew the game 1-1…somehow. It went to a replay and I did use the programme and website to put pressure on the referee (in those days you had the same official for the replay) by reminding about his performance from the week before. He was a little better. Would I go back to watching League Football? I don’t think so. I enjoy being able to stand where you like, go in the bar afterwards. Non League Football gives you that. Subs: Gavin Kelly (GK), Lee Connor, Jamie Price, Amjad Iqbal, Craig Bentham, James Walshaw, Lee Ellington, Gavin Allott, Connor Rollinson (he’ll tell me off if I didn’t include him). A great trip down memory lane – particularly those early pics of you, and of Ronnie. Hopefully another 20 yrs watching. Interesting read James, u and your dad (Mum as well if she wants) need to get yourselves to the next BPAsportsman dinner on 20/2/19 where u can meet some of your old hero’s again, about 25 ex players from 90’s to 05 came last time and we are hopeful of increasing that number plus a few ex players pre 1974 your dad will remember. Nice memories there – a lot that I share with you, from Throstle Nest. 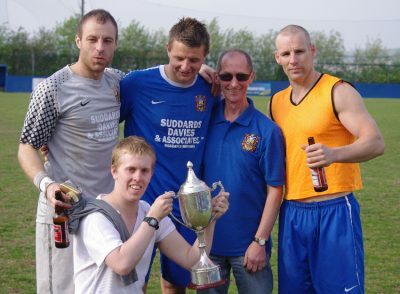 Those French fellas made a HELL of a racket when we won the N E Cts league that day vs Lincoln MR.